The painted turle is so-named because of its bright yellow, red, and orange markings on the head, margin of the shell, and underside. It is widespread and common throughout Illinois in the quiet, weedy areas of marshes, ponds, lakes, and backwaters of rivers. 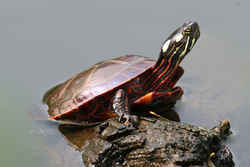 Groups of painted turtles are often seen sunning on logs and banks. The female lays 2-3 clutches of 8-9 soft-shelled eggs from May to July. Hatchlings usually overwinter in the nest. Painted turtles feed on dead fish, insects, mollusks, and plants. The voting for favorite state reptile was done on the Internet. Other candidates were the Eastern Box Turtle and the Common Garter Snake. The legislature voted in the legislation in July, 2005. CHICAGO - The Eastern tiger salamander slipped by two other finalists in balloting for the title of state amphibian, while slow and steady was a winning strategy for the painted turtle in the state reptile race, Lt. Gov. Pat Quinn said recently. "We want to commend each of the candidates for a very strong, positive, educational campaign. While the candidates may live in the muck, they didn't sling any mud in this election. Not one of them went negative," Quinn said in an interview with The Associated Press. More than 75,000 votes were cast since the finalists were announced in August, Quinn said. The public vote, which was conducted on his Web site, ended at midnight Friday. Quinn said he expects quick action by the state Legislature to consider adopting the Eastern tiger salamander as the official state amphibian and the painted turtle as the official state reptile. 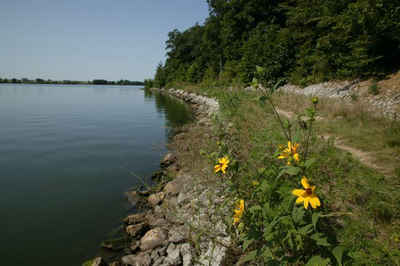 If adopted, they will join a list of 17 other state symbols, from state tree (white oak) to state fossil (Tully monster). "Historically, they've approved the people's choice in the past," Quinn said. The Eastern tiger salamander received 51 percent of the vote in the amphibian category, garnering about 8,600 more votes than the gray tree frog, which earned 28 percent of the vote, and the American toad, which got 21 percent. "The toad and the frog kind of split up the vote and allowed the salamander to slip in," Quinn said. The reptile race was tighter - about 4,800 votes separated the painted turtle, which got 45 percent of the vote, from the garter snake, which received 32 percent of the vote. The Eastern box turtle plodded along in third place with 23 percent. The Chicago Herpetological Society, a 700-member group that rallied support for the election, sent thousands of letters to schools around the state, asking teachers to incorporate the election into their curriculum. The group eventually won support for the designations from Quinn and state Rep. Bob Biggins, R-Elmhurst. 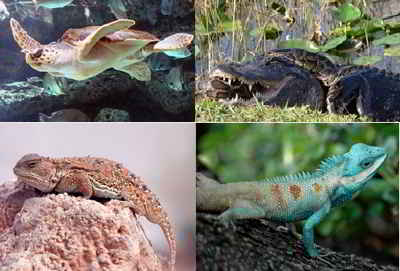 The society scaled down a list of 102 reptiles and amphibians native to Illinois to settle on the three finalists for each. The candidates had to be easily found throughout much of the state and had to be relatively attractive. "The real winners here are the students of Illinois," Quinn said. 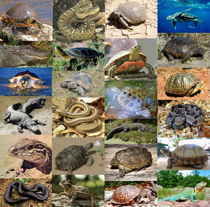 "Thousands of children went online to pick their favorite reptile and amphibian. It was an opportunity to learn about conservation and natural resources." Key Characters: Relatively low, smooth-edged shell; red markings on marginals or plastron; upper jaw with median notch bordered by toothlike cusps. Similar Species: Slider (melanistic males). Subspecies: Western painted turtle, C. p. bellii; midland painted turtle, C. p. marginata; and intergradation between midland and southern painted turtle, C. p. dorsalis. Description: Medium-sized (up to 18 cm CL) turtle with yellow stripes on head and olive to black carapace. Marginal scutes with vertical bars (bellii) or horizontal to curved markings (marginata); red midback stripe broad (dorsalis), narrow (marginata), or absent (bellii). Plastron: yellow, red, or orange; dark markings broad, laterally branching, and covering most of plastron (bellii); elongated and confined to midplastral seam (marginata); or absent (dorsalis). Extensive intergradation among subspecies produces great variation within state. Habitat: Frequents most aquatic habitats but most common in shallow, quiet, weedy parts of lakes, ponds, marshes, and river backwaters. Natural History: Basking congregations are common on logs and banks. Omnivorous diet includes plants, insects, and mollusks. Readily scavenges on dead fish. Nests May to July. Lays 2-3 clutches of 8-9 flexible-shelled, ellipsoidal eggs (ca. 32 x 20 mm). Hatchlings usually overwinter in nest. Amends the State Designations Act. Designates the Eastern Tiger Salamander as the official State amphibian of Illinois. Designates the Painted Turtle as the official State reptile of Illinois. Sec. 85. State amphibian. The amphibian Ambystoma tigrinum tigrinum, commonly known as the "Eastern Tiger Salamander", is designated the official State amphibian of the State of Illinois.